Every memory keeper approaches her scrapbook page design from her own unique perspective. Some women seek the shortest path from A to Z, while others relish in trying out every new technique. That’s the beauty of personalizing your process and defining what “simple” looks like for you in this hobby. But there’s one attribute we all share: a desire for ease. There are going to be frustrating aspects of any creative process and I’ve learned a number of techniques that can make scrapbook page design easier, no matter where you fall on the spectrum. See more posts in the Design + Technique category. In this week’s episode of Simple Scrapper Live, I shared my very best hacks (i.e. shortcuts) for taking the frustration out of design. I’ve embedded the replay here for you and if you’re a member, this episode has been queued up for on-the-go listening via our secret, members-only podcast. Simple Scrapper Live is my weekly video show, broadcast to a live audience on Crowdcast every Tuesday at 1pm central. The video includes three segments: gathering ideas, approaching the design, and troubleshooting common challenges. In the first segment I debunk a common myth about scraplifting and share my preferred approach for using sketches. 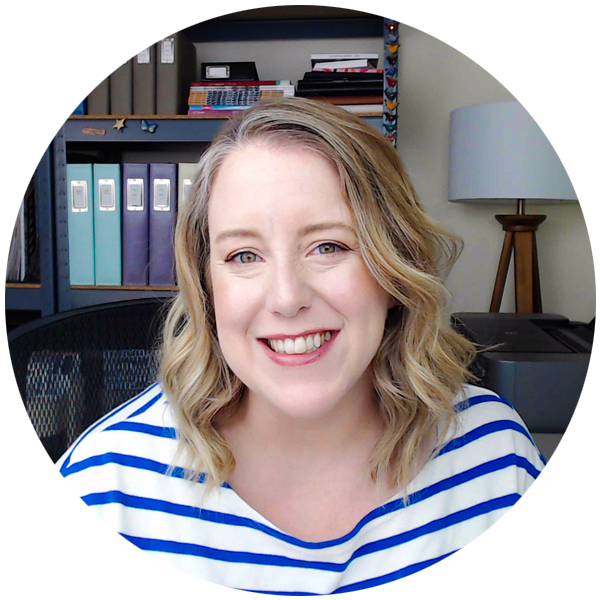 Then, in the second segment I encourage scrapbookers to let go of design rules that might be getting in the way of productivity and then begin to see design from a new perspective. Finally, I offer advice for finishing pages when your design doesn’t feel quite right. My hope is that you’ll take away at least one idea to help simplify the design of your next page. Scrapbookers of all styles and experience levels can benefit from these hacks for great scrapbook page design. 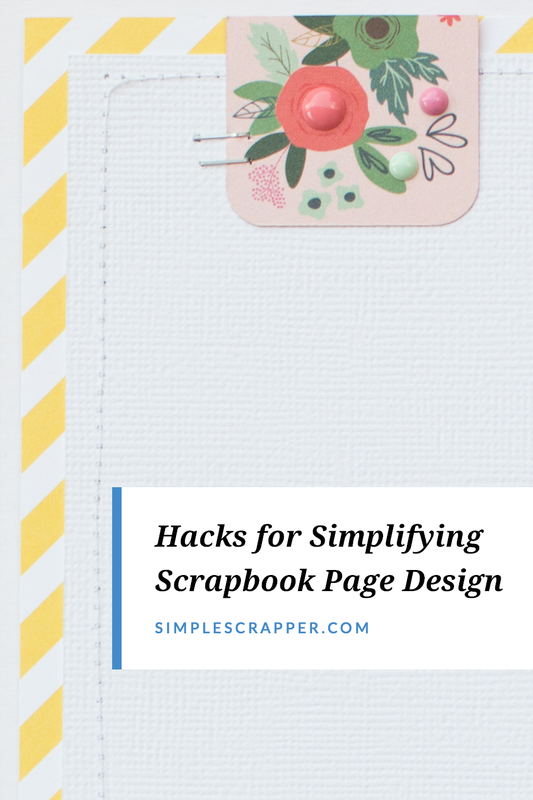 What is your favorite scrapbook page design hack? Share it in the comments below.